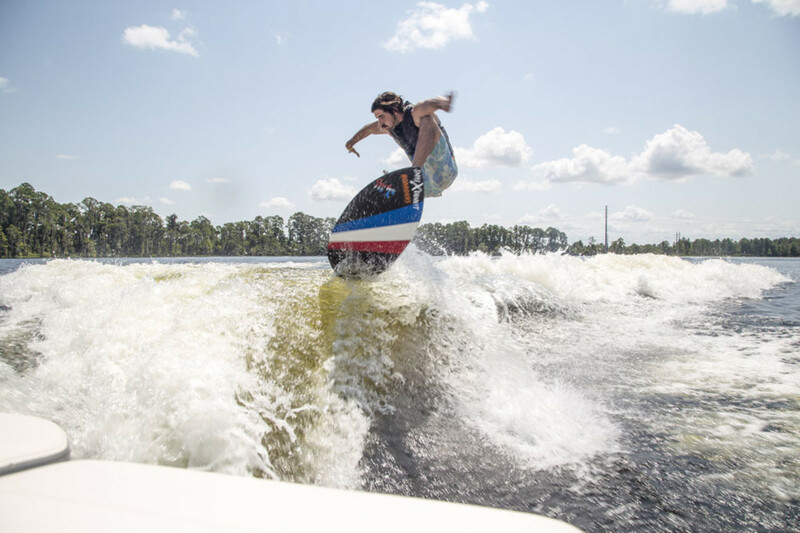 The event took place on Sept. 7 at Buena Vista Watersports on Paradise Cove in Orlando, Fla., and featured test drives and in-water demos of Chaparral’s 246SSi, powered by Volvo Penta’s Forward Drive and Gen V gasoline sterndrive engine. It is one of the first models equipped with Surf Gate technology licensed from Malibu Boats. “Volvo Penta’s Forward Drive, which places the forward-facing propeller under the transom, allows us to build a versatile platform that’s perfect for all-around boating. You can wakesurf in the morning, hang out at the sandbar during the day and head to your favorite waterfront restaurant for dinner,” said Martin Rusin, marketing director at Chaparral.